As many of us gear up for what’s supposed to be the biggest two days of sport this year, the fast-approaching weekend holds a mixture of what we hope will be celebratory BBQs, get-togethers with family and friends, and many attempts to try our own hand at some kind of sport. 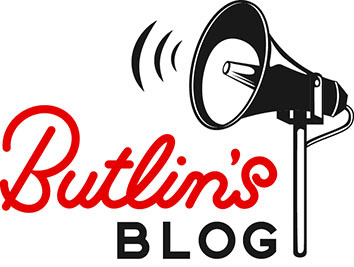 With so much to inspire us this summer, we took a trip down memory lane to discover that for Butlin’s, tennis has been one of our major sports since the 1930s. At this time of year in particular, when summer’s upon us and the days are longer, it’s the perfect opportunity to get outside and stretch those muscles. Whether it’s having a go at something completely new like beach volleyball, or sticking to a good old kick-about on the grass, there’s nothing we love more than sociable sports. And it’s been that way since day dot. 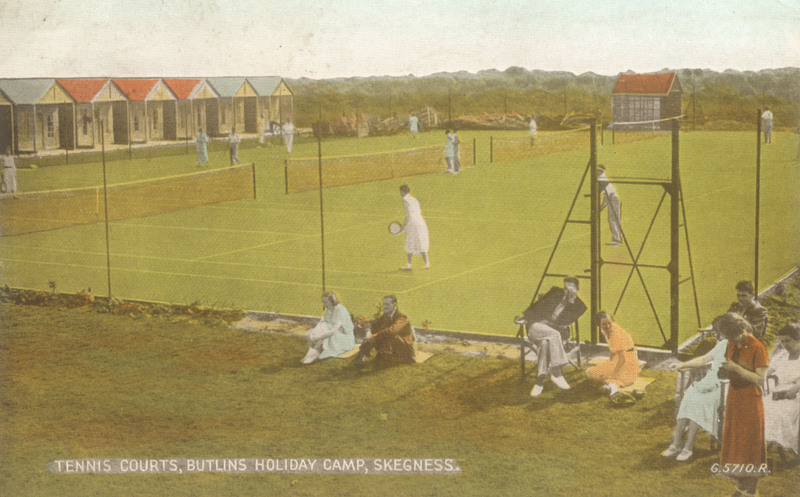 If it wasn’t football that got the Butlin’s campers’ blood pumping faster, then it certainly would have been tennis. From as early as the 1930s, many of the Butlin’s resorts, including Ayr and Clacton, offered tennis courts as just one of the many activities available for guests. From bright green faux grass to concrete courts, there were large spaces for campers to run and rally all day long. 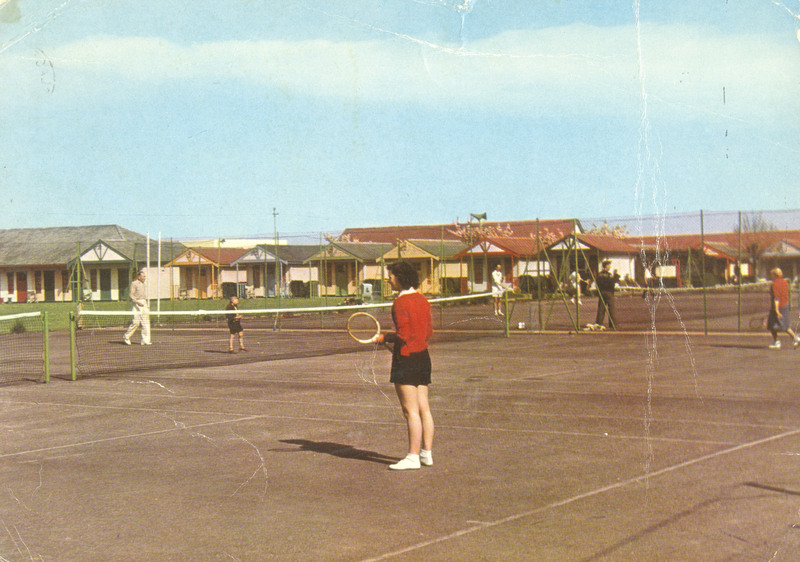 As old photographs show us, the tennis courts were perfectly placed outside chalets or surrounded by grassy areas that were ideal for spectators to watch on or for families to simply play and be near each other. 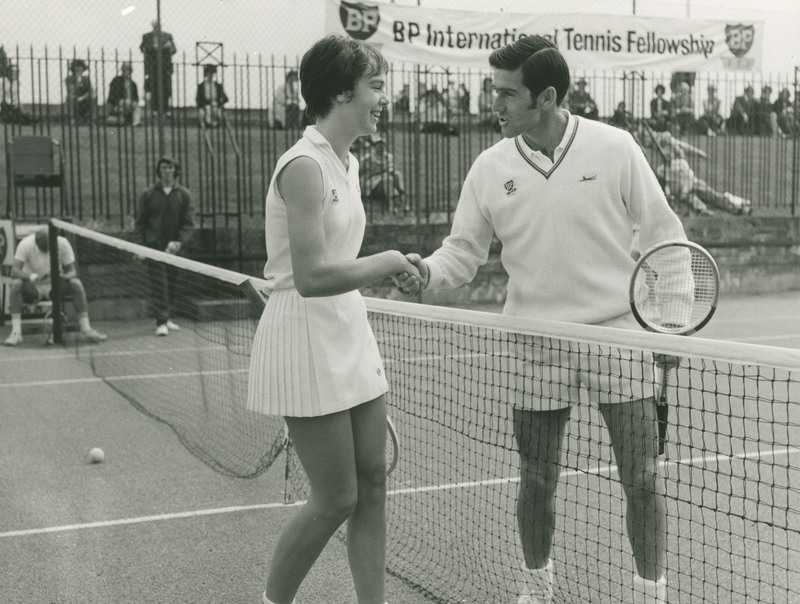 During 1968, the BP International Tennis Fellowship was a coaching scheme initiated with a £10,000 backing from British tennis player John Barrett. As the figurehead of the scheme, he coached young hopefuls such as Mark Cox, Gerald Battrick and Paul Hutchins. 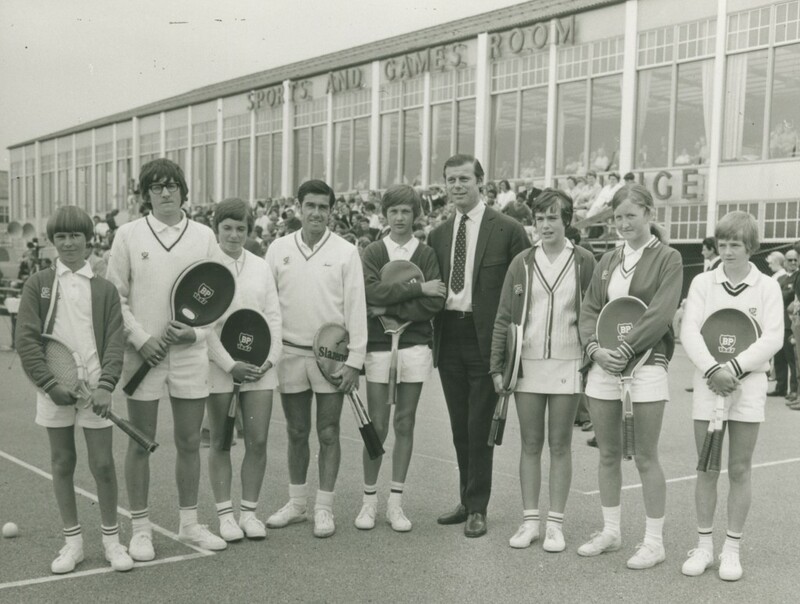 * The photograph below shows tennis player Ken Rosewall shaking hands with a young female player at our Bognor Regis resort which suggests Butlin’s hosted the Fellowship in the late 1960s – how exciting! 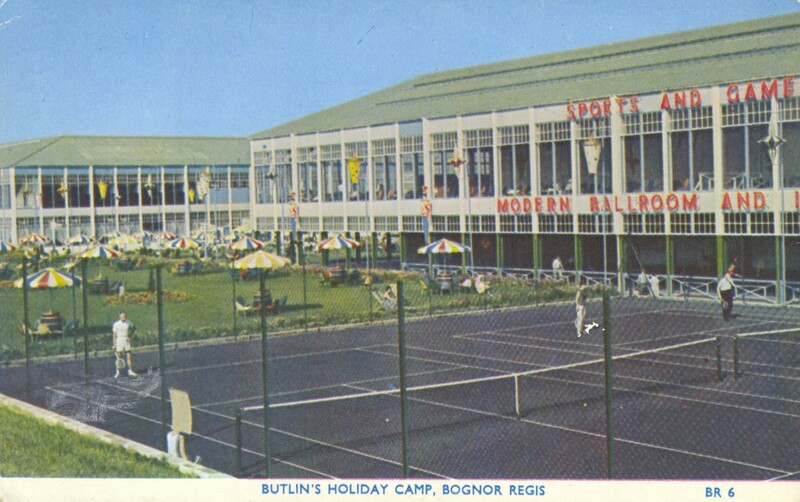 Clearly tennis has been enjoyed by many at Butlin’s since Billy opened his doors in the 1930s, and to this day we continue to champion the sport. You can find the tennis court at our Skegness resort, located nicely between our Pacific Wharf and Starfish Quay accommodation – just as Billy would have liked. If you’re feeling a bit rusty and could do with a little reminder of the rules and techniques, you’ll find tennis coaching available, as well as mini tennis for your little one so the whole family can play together. Game, set, match! So in the spirit of Wimbledon and the ever-nearing final this Sunday, why not have a go yourself? If you’re heading up (or down) to Skegness, book a slot on the tennis court and get competitive with a family member, or start a doubles match with some friends. And if you’re not visiting us this weekend, dust off the racket, head to the park and start a rally – you might even fancy yourself as the next Andy Murray. See you there! Say hello on Facebook or tweet us and let us know what sporting event you’re most looking forward to this weekend! * Information from A Social History of Tennis in Britain by Robert J. Lake.